You get what you pay for, and investors are happy to pay up for quality. These results demonstrate why. At the end of a surprisingly upbeat January for FTSE 100 investors, Diageo (LSE:DGE) injected some more cheer today as a fresh round of buy-backs helped drive its shares to a new record. The drinks giant, which is a staple for many portfolios thanks to its earnings quality and reliable cash flows, announced the latest shareholder return alongside half-year results showing a 12% rise in operating profits to 2.45 billion euros (£2.1 billion). Shares jumped 4% to beat July's record high of 2,885p as the Smirnoff and Guinness maker gave another example of the quality of earnings helping to support the FTSE 100 Index at the start of 2019. 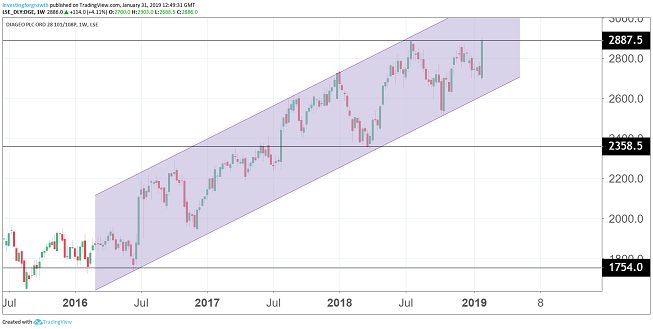 After a rocky 2018, in which it fell 12.5%, the top-flight index is now back near the 7,000 mark after a rise of around 3.5% during January. Diageo certainly isn't cheap with a projected 2019 price/earnings (PE) multiple of 21.2x representing an 18% premium to the European consumer staples sector. But UBS analysts think there's room for more progress as they currently have a price target of 3,100p. They point out that today's 7.5% rise in organic sales for the six months to December 31 was well ahead of consensus forecasts for about 5.5%. In the face of so much global uncertainty, it was significant that the growth came across all regions, with Asia accelerating to show a 13% rise and the North American division coming in 6% ahead of last year. The performance resulted in free cash flow of £1.3 billion, allowing the drinks giant to extend its share buy-back programme to £3 billion for the year to June. Today's additional £660 million comes on top of the £2 billion announced in July and the £340 million set aside in December following the sale of 19 US-based spirits brands to Sazerac. The drinks giant also announced today it is increasing its half-year dividend by 5% to 26.1p, with the company currently yielding in the region of 2.5% for this financial year. While management guidance is largely unchanged, UBS said there was scope for full-year organic sales growth to come in at the top end of the forecast 4% to 6% range. A slower second half is likely to reflect tougher comparatives in large markets such as India, with CEO Ivan Menezes also highlighting some one-off and phasing gains in today's figures. "These results are further evidence of the changes we have made in Diageo to put the consumer at the heart of our business." The quality and size of Diageo's portfolio of brands, with premium labels such as Johnnie Walker or Tanqueray, has meant it has successfully tapped into the appetite among consumers to choose drinks at the luxury end of the market. It's the same trend that has handsomely rewarded shareholders in posh mixers firm Fevertree Drinks (LSE:FEVR) in recent years. Gin proved particularly lucrative for Diageo in the half year, with Tanqueray and Gordon's growing sales by double digits in Europe. 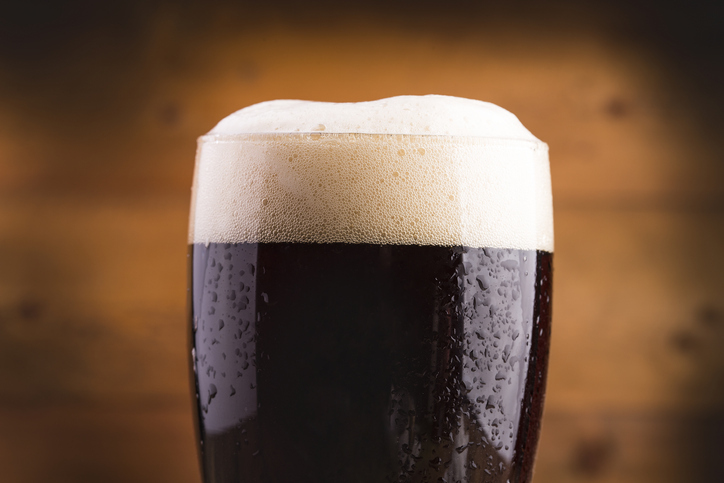 Beer was up by 4% in the region thanks to a strong performance from Guinness Draught.